The Granite Gurus: Great deal on new stock of Madura Gold granite! 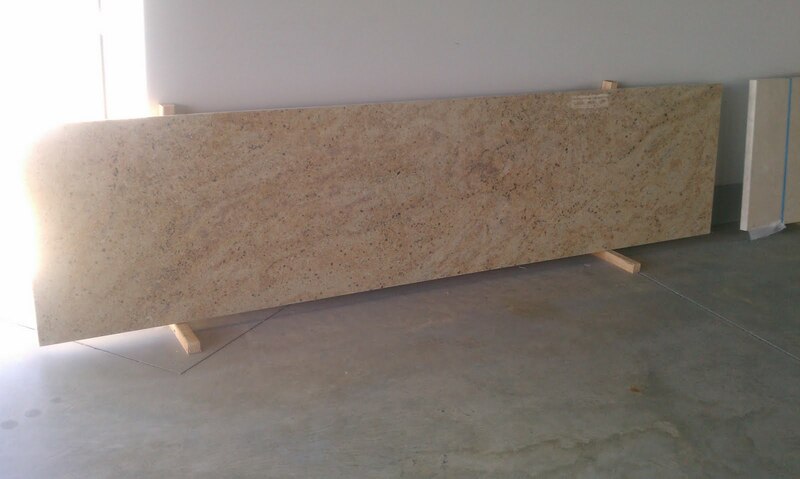 Great deal on new stock of Madura Gold granite! 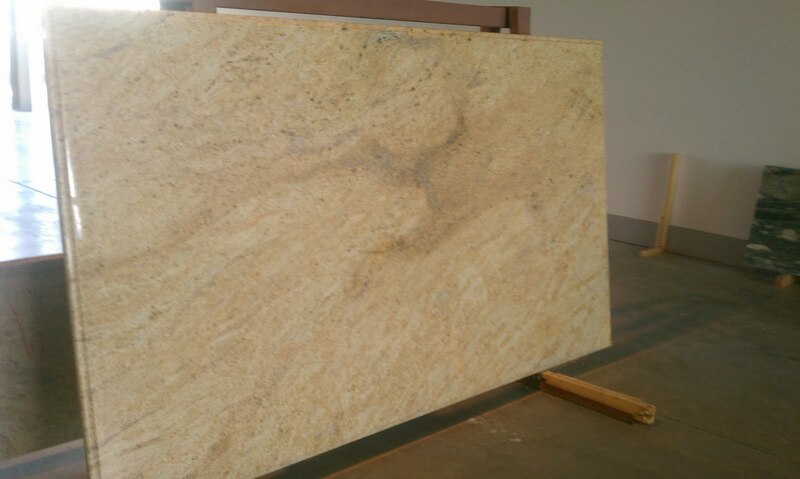 Last September we bought half of a container of pre-fabricated Madura Gold granite. (That's a lot!) The price on it was so incredible we flew threw it faster than we could have imagined. Since it was so popular we purchased another half of a container and it just came in! It's really beautiful. Above is one of the Island pieces with the Ogee Bullnose edge. We decided to mix it up a little, so some of the Island pieces have an Ogee Bullnose edge on them. The rest of the pieces have a 1 1/2" Sandwich edge detail. For a small charge we can make the Sandwich edge detail a Half Bullnose, Full Bullnose, Half Moon, Chisel, 3/4" or 1 1/4" Laminated Bevel or Ogee Square. You can see these edges here. Above is a Kitchen Run. 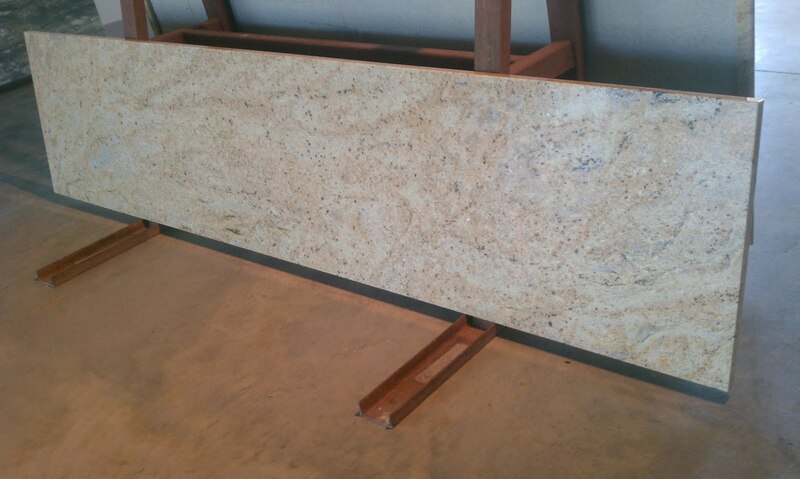 Madura Gold is generally sold as a "Group 3" priced granite. We are selling these pre-fabricated pieces at BELOW "GROUP 1" PRICING! Here are the sizes that we have available. Keep in mind that we can cut these down to accommodate your space. We do have 6" backsplashes available as well. Kitchen Islands are 53" x 95"
Kitchen Runs are 108" x 25 1/2"
Bathroom Vanity runs are 96" x 22 1/2"
These can also easily be used for Fireplace Hearths and Surrounds, Tables, Desks, etc! If you are a DIYer we do sell these pieces as they are. So you can pick them up and install them yourself and save even more money! Contact us today for a free bid. Don't wait, we are predicting these will go fast!